Hosted by Coshocton County Beagle Club in cooperation with other area UKC Beagle clubs. The UKC Hunting Beagle National Championship brings together the outstanding Hunting Beagles and handlers from the United States and Canada to participate in the Hunting Beagle Program’s largest Hunt and Bench Show. This prestigious multi-day event is directly sponsored by United Kennel Club. The location is carefully selected on the basis of a club or clubs that can supply qualified Judges, good hunting territory, guides, and a facility to accommodate the hundreds that attend. The National Championship is a family affair and an event where old friends become reacquainted and new ones are made. All-Star Series Awards Ceremony & Complimentary Dinner at hunt headquarters. Advanced entry only. All entries must be postmarked by midnight March 29, 2019. No hunt entries will be taken on the grounds. A confirmation will be mailed to all entrants confirming entry. This confirmation is not needed to confirm entry at event. No refunds will be issued after the advanced entry deadline. Another dog registered to the same individual may be substituted for a female in season, a sick or injured dog. A veterinarians slip is required for sick and injured dogs. Entry fee of $30 payable to United Kennel Club must accompany each advanced hunt entry. Entries must be confirmed at the UKC headquarters desk. 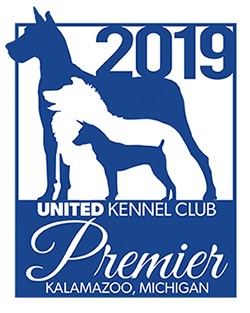 All hounds must be UKC Registered by the advanced entry deadline of March 29, 2019. It is acceptable for single registration applications to accompany the advanced entry application. Format All Registered hounds will be run on Friday. All Hunting Beagle Champions and Grand Hunting Beagle Champions will be run on Saturday. Hunt Time Periods. All preliminary round casts will hunt 90 minutes. Subsequent round hunt time periods to be determined and announced at the event. All hounds will be shown for Championship points and Show Champion honors. Bench Show Deadline: Friday at 1 p.m. (Show to be held immediately after return of Round B casts on Friday.) Kids Show on Friday after Round 2 is sent to the field. Entry fee of $15 per dog. Only those hounds participating in the hunt, or able to show proof of 50 previously earned Championship hunt points, will be eligible to be shown. The winner of the Grand Champion Class to earn degree of National Grand Show Champion. 2018 All-Star Series Awards Banquet & Ceremony Thursday night at 7 p.m., includes free dinner! Kitchen on Grounds - Will be open Friday, Saturday and Sunday.